This year, we have compiled all of our athletic, event and program sponsorship opportunities into one easy-to-use guide! Take a look at what all we have to offer and find what best fits your companies goals in serving your community. Sponsorship provides the opportunity for you to advertise your business or craft and support a local recreation team! The City of Charleston offers a wide variety of sponsorship levels that will fit your needs. 1.) Fill out the respective sponsorship form listed above. 2.) 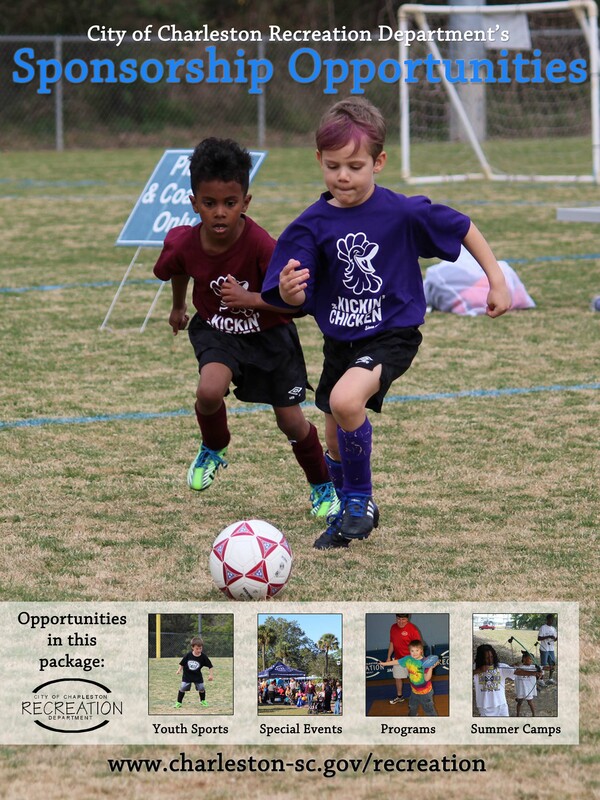 Submit the form to 823 Meeting St. or a City of Charleston Recreation facility or staff member. 3.) You'll be contacted by a member of the City of Charleston staff once all forms have been completed and have been processed.